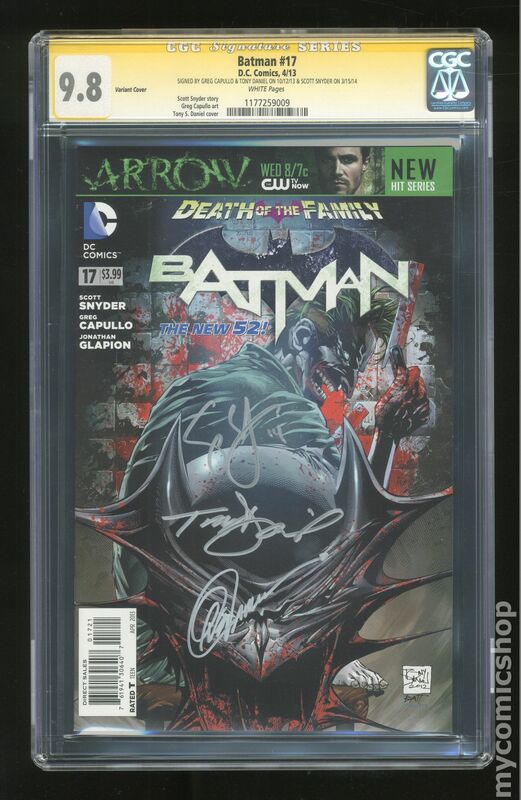 Signed by Greg Capullo and Tony Daniel on 10/12/2013 and Scott Snyder on 03/15/2014. Variant Cover. 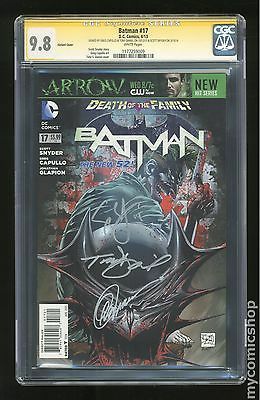 Variant Cover by Tony S. Daniel, Matt Batt Banning Death of the Family: Part 5 of 5 - (W) Scott Snyder (A) Greg Capullo & Various This is it: The stunning conclusion to 'DEATH OF THE FAMILY'! Who lives? Who dies? Who laughs last? Find out as Batman and The Joker face off one last time!